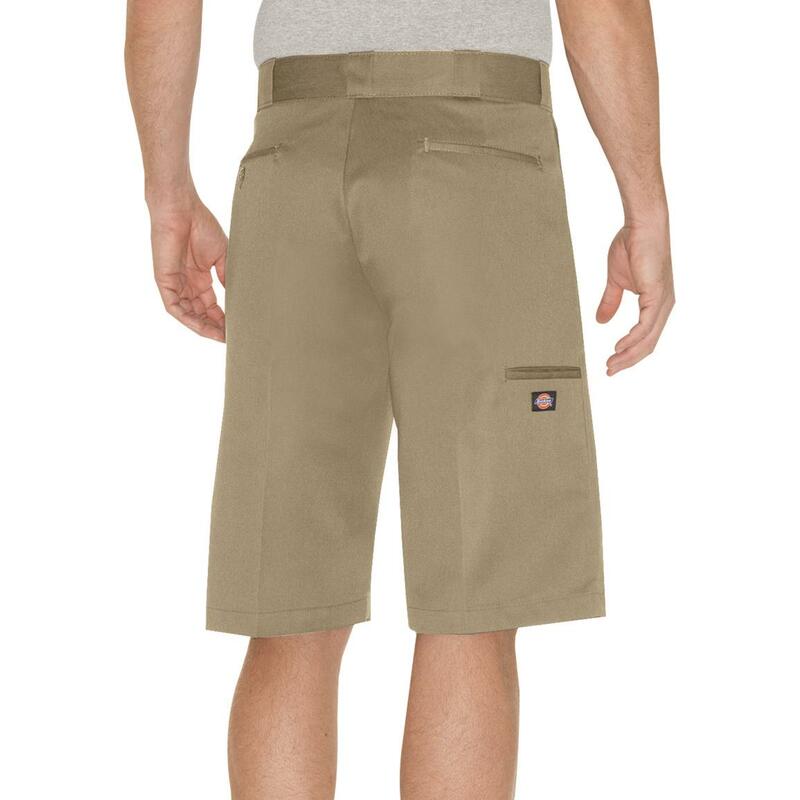 Care-free Shorts for a care-free work day. These Work Shorts from Dickies® will always look clean and pressed, and with minimal effort, too. You'll look great and keep cool all through your work day. 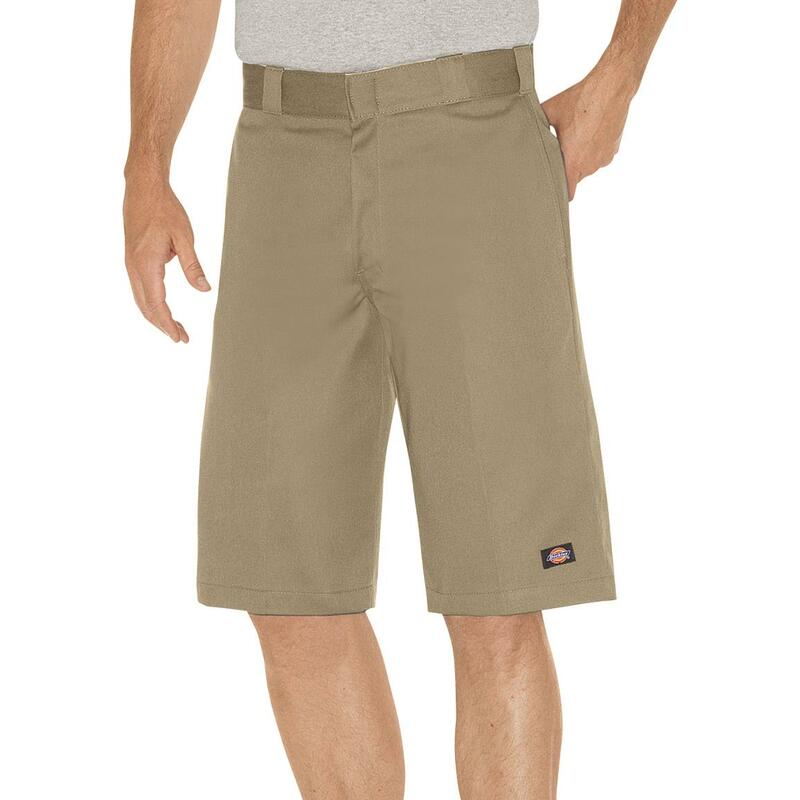 Dickies Mens 13 Relaxed Fit Multi Pocket Work Shorts is rated 4.2 out of 5 by 147. 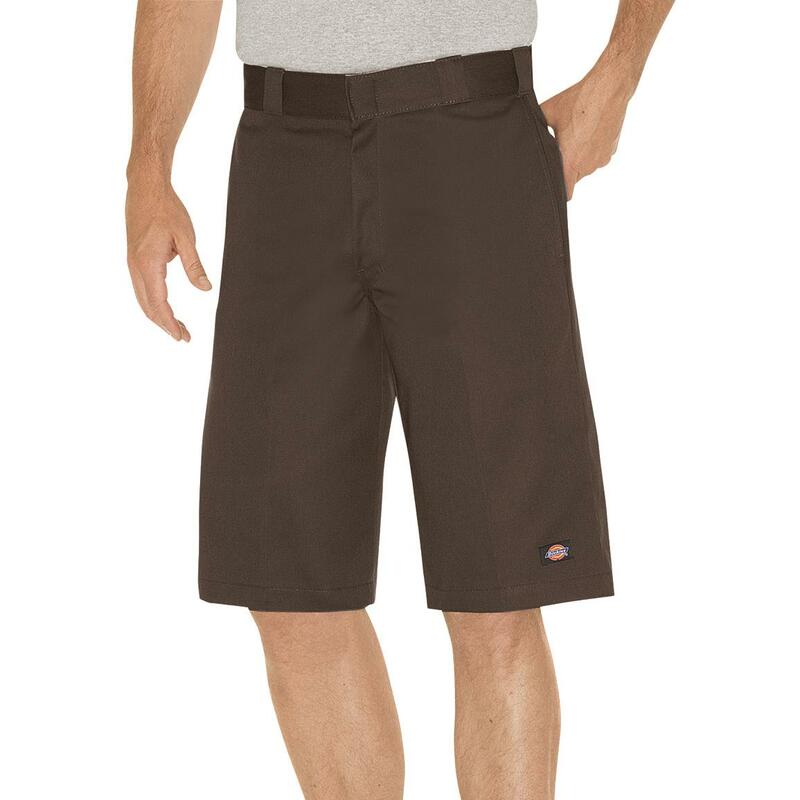 Rated 5 out of 5 by SoCalMomof3 from Great pair of shorts My husband likes the pants for work and shorts for the weekends. Rated 5 out of 5 by DustyBaker from Great Quality Great looking shorts bought 2 of each color forget shopping at the mall. Rated 1 out of 5 by RFord322 from Sizing Not Accurate I have been wearing the same size for 40+ years, these were at least an inch too small. Returned, but it will take several weeks, service should be faster. Rated 5 out of 5 by J Dobson from These are the best shorts ever! We spend our winters in Florida so my husband has them on every day. And then when we go back home he again has them on. They hold their crease and always looks good in them. Rated 5 out of 5 by Bg6663 from Best work shorts These shorts are comfortable and don't bleach out in the pool business.